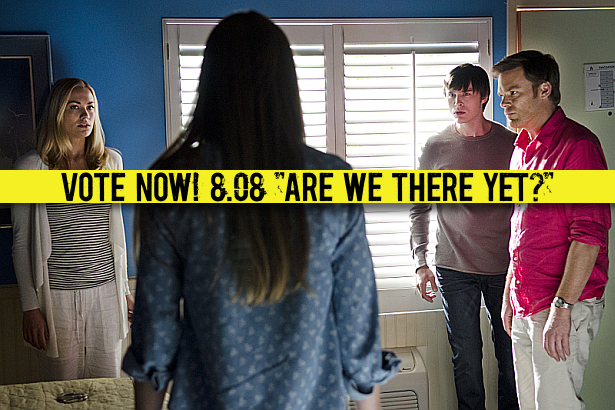 Dexter Daily: POLL: What Did You Think of Episode 8.08 "Are We There Yet"? POLL: What Did You Think of Episode 8.08 "Are We There Yet"? Holy crap! The eighth episode of the eighth and final season of Dexter, "Are We There Yet? ", just aired on Showtime! What did you think of it? Vote below and discuss in the comments section! What did you think of episode 8.08 "Are We There Yet? "?